When it comes to Volvo service and repair in Chatsworth, CA, you can trust in the team of professionals at Mark's Independent Service to get you taken care of. Our team has been providing people in the area with quality service they can trust for more than 23 years. We are dedicated to delivering the best Volvo services around. Even though your vehicle was designed to last for years to come, you still need to do your part to keep it in top shape at all times. 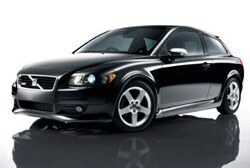 That's where you need to turn to our crew for Volvo service and repair in Chatsworth, CA to help. Our ASE Certified Technicians are extremely knowledgeable and passionate about all things surrounding your Volvo. We understand how important your vehicle is to you, which is why we go above and beyond to make sure your vehicle is in top condition at all times. Regardless of what type of Volvo service and repair in Chatsworth, CA you need, you can trust in our team to get it taken care of for you. Not only do we have the top-quality diagnostic tools, but we also guarantee our services by a 2-year/24,000-mile warranty. Rest assured that your vehicle is in good hands when you stop in and see us at Mark's Independent Service. Stop in and see our team of friendly specialists today. We are here to make sure your vehicle stays on the road for as long as possible.